I am writing this from mid-coast Maine, looking out across a sunny lawn surrounded by woodlands outside the house. My hosts, former coworkers from Maine Media Workshops, are all running around campus in the frenetic chaos that governs the summer camp-like atmosphere of the workshops, performing their various duties with surprising efficiency. I, on the other hand, am relaxing in the peaceful sunshine of a summer morning, listening to the birds and chipmunks chatter at each other in the woods. Soon I will head out for a swim, a jog, and perhaps a boat ride. The tranquility of coastal Maine serves as stark contrast to the bustling, noisy cities I just emerged from. 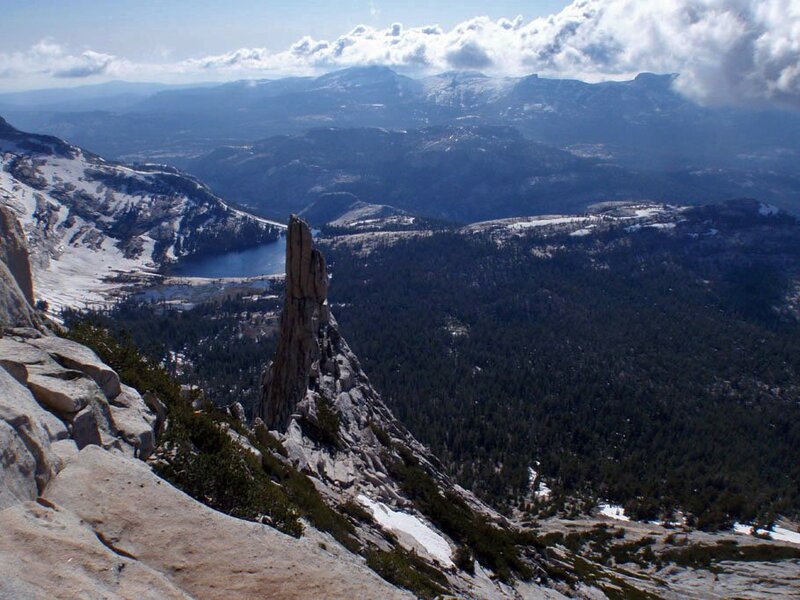 The view from the top of Cathedral, Tuolumne Meadows, during my 2011 western road trip. I won’t lie. I have itchy feet pretty much all the time. When I’m not traveling, I’m probably thinking about my next trip, which now is imminent. Hence, time for a post! As an adult university student, I am acutely aware of the rarity of extended free time in the “real world,” and I am amazed that more students don’t capitalize on their annual summer hiatus. Maybe it’s because they’re all so broke and in debt they can’t afford to go anywhere. Financial stability — yet another benefit of being a 30-year-old college student instead of a 20-year-old.